Peek, the Portable Eye Examination Kit, is a set of diagnostic tools that allows eye care workers to use a smartphone to screen eye patients. It makes use of ‘cloud’-based systems to enable data sharing, referral and follow-up of patients. Peek Retina is an adapter placed over the camera of a smartphone that enables retinal imaging. 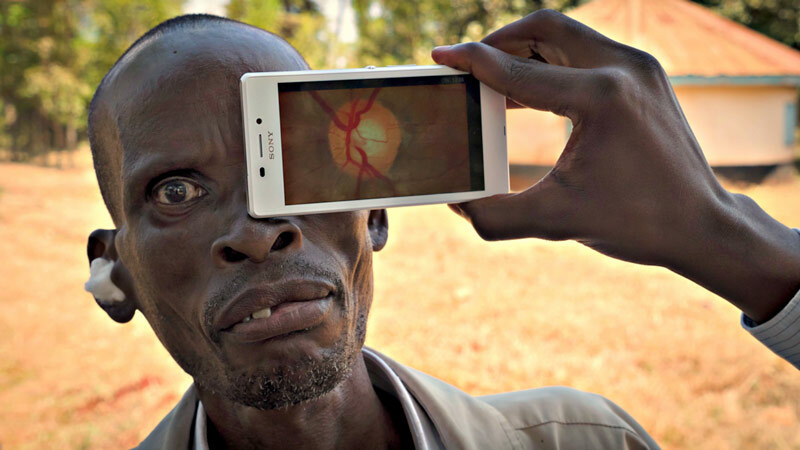 It has been trialled in Kenya as a prototype, showing it to be comparable to a desktop camera for optic nerve imaging. Further studies are underway to validate its use for diabetic retinopathy and malaria retinopathy. A diabetic retinopathy screening system including Peek Acuity and Peek Retina is currently being built and trialled in Tanzania. The team hopes to make this widely available once it is fully functional and the programme evaluation is complete.